Chris goes on a sheep burning adventure with everyone's favourite purple dragon. Nostalgia is a powerful force in gaming presently, from crowd-funded darlings, miniaturised archaic game machines, and rebooted franchises, the love of all things “classic” has reshaped the modern gaming landscape. Those of us who were kids in the 80’s and 90’s have money to spend and a desire to relive parts of our childhood we hold particularly dear. And as Crash Bandicoot proved only last year with the right amount of care a well-made remaster can lead to N’ Sane sales numbers. So, it was no surprise when 90’s darling Spyro the Dragon was also given the green light not too long thereafter. 3D platformers of the 2000’s and beyond owe a lot to this adorable little dragon. Just as with Crash, I had never played the original Spyro games. I was a PC gamer back in the late 90’s and these titles were never on my radar as a result. That being said I loved The N. Sane Trilogy and had extremely high hopes for Spyro. 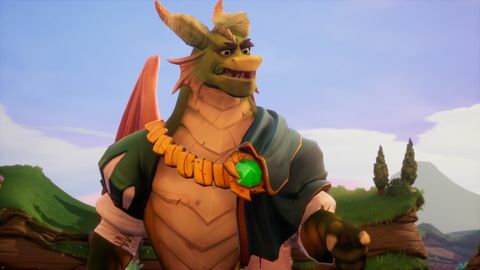 Unfortunately, Spyro has failed to ignite much in the way of excitement from me but I am also not the target market here, so my opinion is likely moot for anyone already vested in the series. There is a lot to like here, but no amount of modern medicine can hide the creaking body under all the admittedly exceptional cosmetic surgery that has been applied to its aging body. The biggest take away I had after completing all three Spyro games was how grateful I am that they came out when they did. Their DNA has influenced so many titles in the intervening years, and its very clear that more advanced 3D platformers of the 2000’s and beyond owe a lot to this adorable little dragon. It is very easy to understand why a whole generation of gamers adore the relentlessly optimistic and upbeat attitude that Spyro personifies. He represents a heroic ideal and positive outlook that is impossible not to love. I wish we had more characters like this in modern gaming. Games have for so long pushed grittiness and complex emotion almost to the exclusion of all else. We’ve become quite jaded in recent years and the unironic innocence of Spyro is a reminder of a simpler, more innocent time. 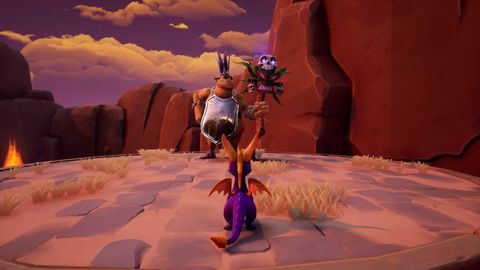 Spyro’s earnestness is enchanting and makes him immediately likeable and a joy to watch romp around the vibrantly cartoonish landscapes. 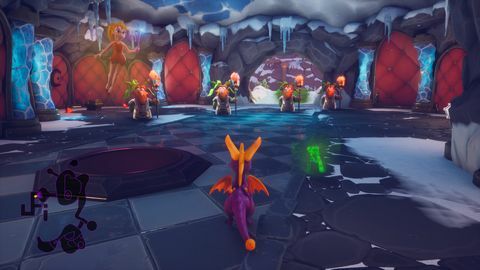 All three Spyro games play pretty much identically both in terms of mechanics and structure, and while each successive entry in the series adds a little more variety, they all ostensibly feel like the same game. 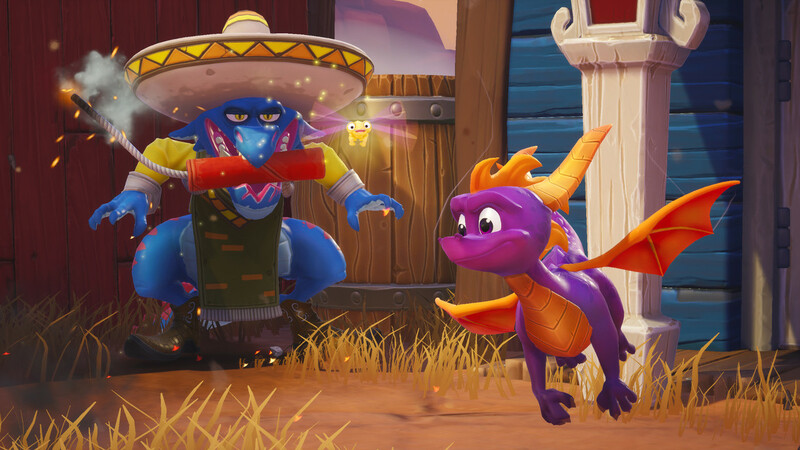 Of the three, Spyro the Dragon has least successfully made the transition to 2018. With barely any story to speak of and a succession of single-line and single-note characters to meet along the way, it feels very shallow. Mechanically the game is also rather sparse, with very basic platforming, simplistic combat and virtually no enemy AI to speak of. It however is undeniably charming, and the new graphics impart a fantastical whimsy that is immediately endearing. 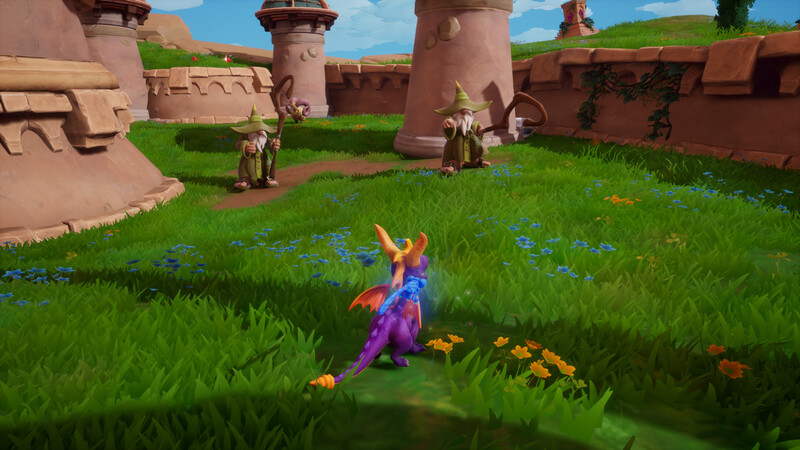 Spyro’s earnestness is enchanting and makes him immediately likeable and a joy to watch romp around the vibrantly cartoonish landscapes. While the characters lack depth, they do all look amazing and have a visual personality that helps to give them a little more life. The same can be said for every location found throughout the trilogy. The team at Toys for Bob have updated the visuals perfectly and lost none of the original art design in the process. In fact, the new embellishments all feel like they should have always been there, and I expect returning players will relish every scene. The voice acting while also sparse is exceptional. It’s never quite enough to prevent most characters feeling like little more than animated signposts which is especially true in the first game but maybe that’s ok. They fulfill their purpose and help keep the games ticking along at a merry pace. One thing I would love to know is at what point the idea of incinerating the local fauna in order to transform their traumatised souls into psychedelic butterflies which are then eaten by a chromatically dynamic dragonfly companion as a means of healing you came in to play. I found the idea of torching sheep, frogs, and other assorted innocent critters as a means of health regeneration a little disturbing no matter how wide-eyed and bewildered the charred remains were before poofing into oblivion. The 90’s was a strange time indeed. 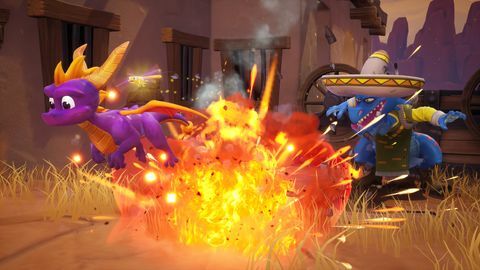 Both Ripto’s Revenge and Year of the Dragon fare a little better than OG Spyro. Each adds more variety to encounters, worlds, challenges, and characters. There is a marked improvement in the storytelling in Year of the Dragon that takes it a step above both previous entries. Of the three it was the only one I really engaged with, and I expect had I played it first or even on its own my overall impression of The Reignited Trilogy would be higher than it currently is. 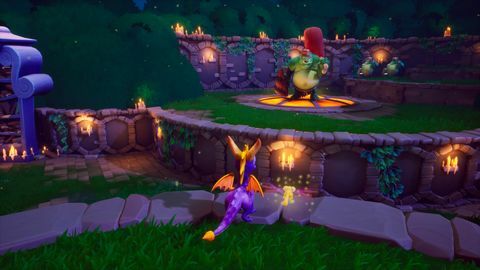 But after two games that feel very much like more of the same rather than full sequels, I have to admit to experiencing more than a fair amount of Spyro fatigue. The trilogy as a whole is a great value proposition and the remastering work is exceptional. If you’re a fan of the series I have no hesitation in whole-heartily recommending it. If, however, like me you never experienced these games back in the day it’s a very different proposition. There is very little here for the modern gamer, all three games lack the challenge, depth, and variety of Crash Bandicoot as well as it's more adult-friendly themes and humour. That being said the games are all expertly executed and perfectly update the “classic” Spyro experience with gorgeous modern presentation. 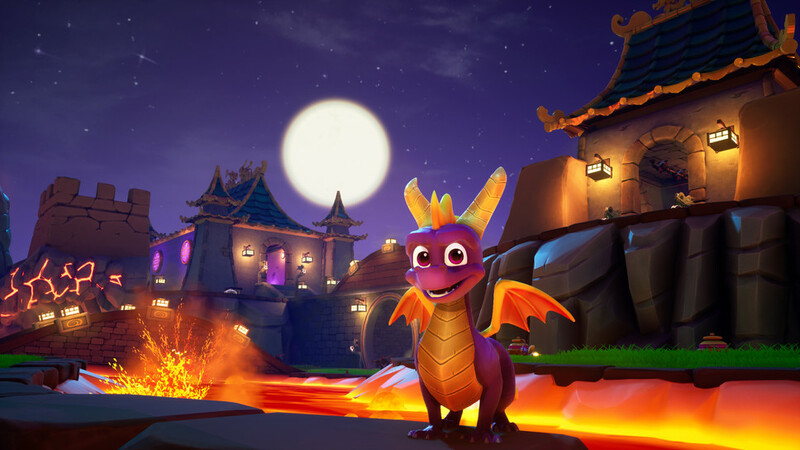 Kids and long-time devotees will no doubt adore Spyro’s return, everyone else may struggle to find something to ignite their interest in this beloved classic character. A perfect visual and audio upgrade to a bonafide classic that sadly can do little to bring its dated game play and simplistic design to a modern audience. Fans and kids alike however will no doubt find many hours of enjoyment in this expertly presented package. Ups Beautiful presentation and stellar performance. Spyro is just as endearing now as he was almost 20 years ago. A very faithful recreation of the classic Spyro experience. Downs Very simple mechanically, with shallow game play, and two-dimensional characters. Lack of differentiation between titles.